While speaking of the indigenous brand Patanjali, apart from Baba Ramdev, the person who comes to mind is the brand’s Managing Director, Acharya Balkrishna. He is not only the primary stake holder of the brand but also one of the founders of the brand. He is gifted with excellent managerial, administrative and engineering knowledge, heading 34 companies and possessing several trusts associated with Patanjali. Although he is exceptionally prudent, it wouldn’t have been an easy journey for him if he wouldn’t have had the backing of the very popular Baba Ramdev, who is the face of his products. 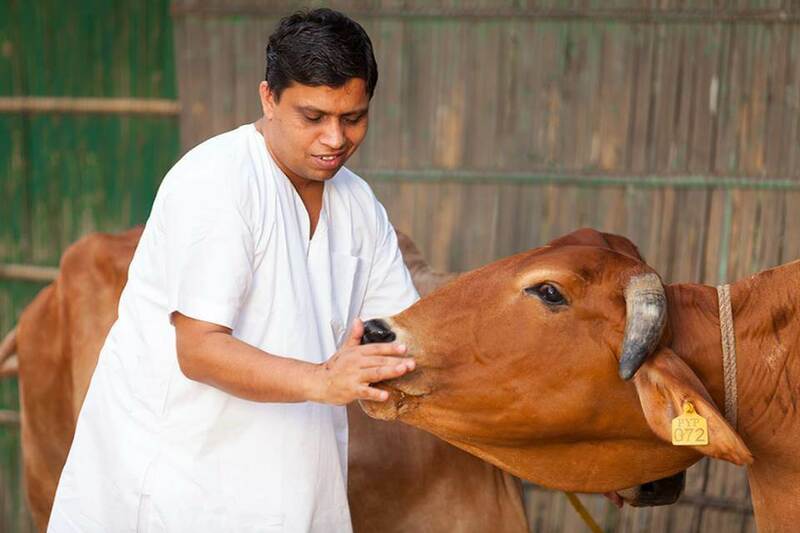 At Patanjali nothing gets unnoticed by Balkrishna. Right from the inception of a product to its marketing requires his primary approval. With such huge success and a big brand attached to his name, controversies too have found their way, yet he has risen above all to take Patanjali higher up. 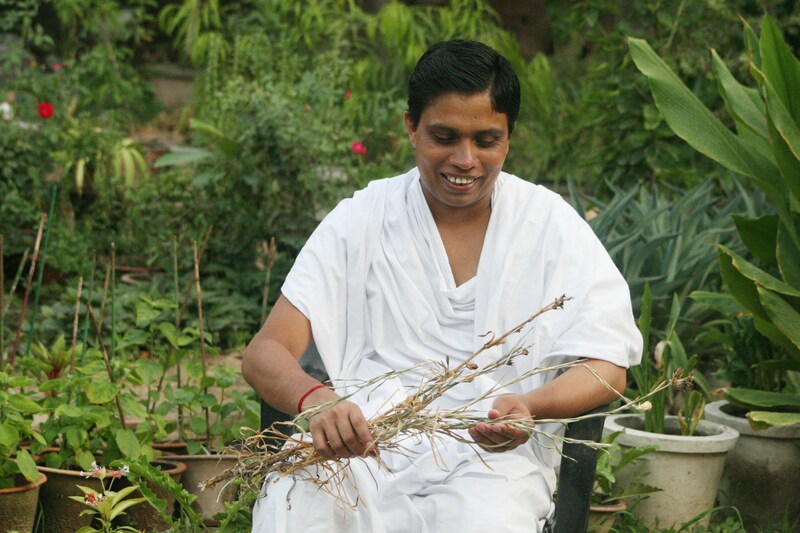 Let’s take a closer look at the life of Acharya Balkrishna and how he steered Patanjali to such great heights. Balkrishna was born in an affluent Nepali-Brahmin family on 25th July, 1972. His mother, Smt. Sumitra Devi and father Shri Jay Vallabh, later migrated to India and placed him under the guardianship of Late Acharya Shri Baldevji at a Gurukul in Kalwa (near Jind, Haryana). He obtained his postgraduate (Acharya) degree from, Sampurnanand Sanskrit Vishwavidyalaya, Varanasi. It was at a Gurukul in Haryana where he met Swami Ramdev, and sharing the same principles and vision the duo soon founded an Ayurvedic pharmaceutical company, ‘Divya Pharmacy’ at Haridwar in the 1990s. The two didn’t stop here and went on to set up several other businesses with Acharya Balkrishna as the Managing Director. This enterprising journey led to the setting-up of Patanjali Ayurved and rest is history. During his austere penance in the Himalayas, Balkrisha explored and discovered the four rare and extinct astavarga plants used as ingredients in the preparation of chyavanaprasa, an Ayurvedic formulation. 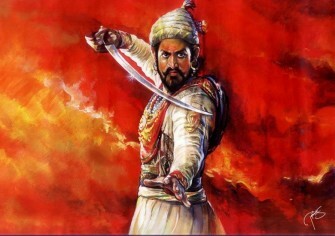 He also discovered the sanjivanibhuti of legendary fame. His undying love for everything pure and perseverance to cure all form of diseases through Ayurveda led him to extensive research. In fact, in order to ensure that the ingredients used in all products of the Divya Pharmacy medicines are authentic and genuine, he founded the Patanjali Herbal Park that grows over 450 varieties of herbs including some very rare species under his supervision. Assisting him in his research is a team of 70 physicians from the Department of Medical Science in Yoga & Ayurveda at Patanjali Yogpeeth. He has published more than 41 research articles in various national and international journals. He has even authored many books on Yoga and Ayurveda and edited many scriptures from unpublished Ayurveda manuscripts. In 2006, Patanjali Ayurved was born with the help of Baba Ramdev’s two very ardent followers, Sunita and Sarwan Poddar. Balkrishna himself took out a loan of around 50-60 crores at a time when he didn’t even have a personal bank account. Balkrishna and Baba Ramdev helped the company grow to 450 crores by 2012 and by the financial year 2015-16, it had a turnover of around 5000 crores, almost 11 times its worth in 3.5 years. Since Balkrishna holds 94% share in the company, he has gathered a personal fortune of Rs. 25,600 crores which is around 3.82 billion dollars, placing him in the coveted Hurun India Rich List 2016, as a billionaire at rank 26 among 339. This unstoppable visionary is targeting a turnover of 1 lakh crore for Patanjali by the year 2020. With Patanjali eating into the market shares of big and established MNCs, achieving his target by 2020 isn’t going to be very tough. The company has recently entered into joint ventures with some foreign companies and has been exporting their products to countries like the US, Canada and the Middle East. 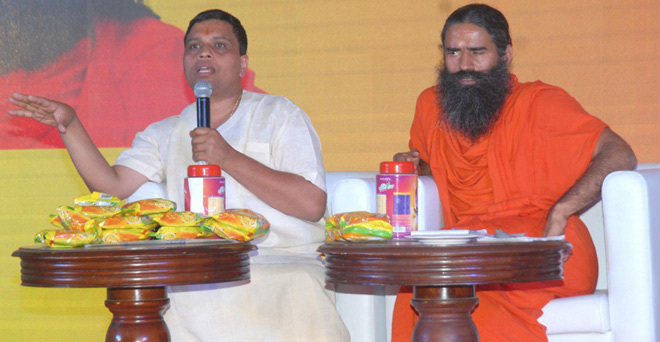 Regardless of any collaboration, if Patanjali continues its success Acharya Balkrishna will soon reflect in India’s top 10 richest entrepreneurs. The reason for Balkrishna’s success is obviously Baba Ramdev and the Patanjali brand. The duo has taken all effort to convince their consumers that their products are not only reasonable but genuine. Balkrishna himself has cured thousands of patients from chronic and stubborn diseases like diabetes, rheumatism, osteo-arthritis, gout, migraine, cervical spondylitis, respiratory disorders, asthma, cancer, nervous disorders, and heart diseases at Brahmakalpa Chikitsalaya. Besides this, he has thousands of Ayurvedic physicians both in India and abroad treating patients under his guidance. The products are structured at a very reasonable price and are marketed in a very rustic packaging leading its consumers to trust its authenticity, claiming that all profit is redirected toward charity and the betterment of society. A man so successful is bound to find himself in some sort of a stew sooner or later. Whether related to him or Baba Ramdev, Balkrishna has seen it all. He was charged with accusations of forgery in 2011, and the investigating agency claimed that the passport issued to Balkrishna was based on high school and graduation certificates and degrees and both his ‘Purv Madhyma’ (High School) and ‘Shastri’ (a Sanskrit degree from Sampurna Nand Sanskrit University) do not exist in the university records. He was also charged with money-laundering and the possession of a pistol without any legal permit. The Times of India reported Balkrishna as ‘missing’ after the CBI summoned him. Standing firm by the side of his right-man, Baba Ramdev publically supported Balkrishna saying that the then Congress Government was only “tainting” his reputation without any evidence. He even stated that Balkrishna was busy with some important work and was absconding. Two years later when the NDA government came into power the charges against him were dropped and the cases closed. 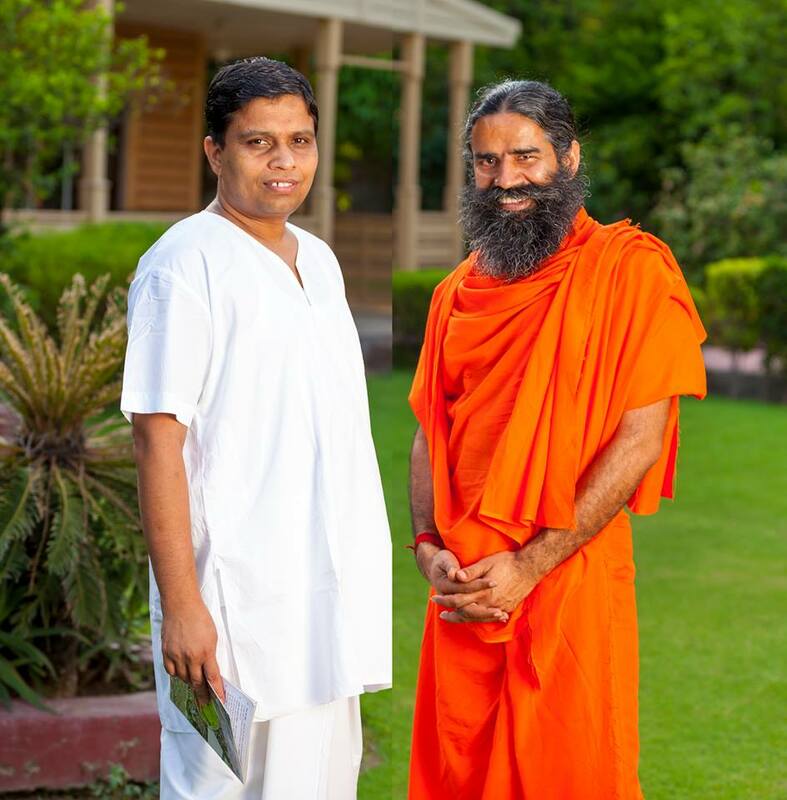 The vice-chancellor of Patanjali University, Balkrishna is a ‘Karmayogi’ and devotes his services round the clock to the service of mankind and has helped Baba Ramdev build a huge and successful business empire. He has stood by his beliefs and faith in the Vedic scriptures and has propagated the importance of ‘swadeshi’ goods. With his sea of Ayurvedic knowledge and a great business acumen, Balkrishna has built a brand that has very strong roots. He is often seen alongside Baba Ramdev at various yoga-gatherings promoting Patanjali products. He has made his product portfolio so huge that there is hardly any product that isn’t produced by the brand. He has a say in every matter of the brand. Baba Ramdev trusts him immensely and has encouraged all his followers to use herbal and Ayurvedic products produced by Patanjali. Balkrishna has shown complete loyalty towards the brand by spending endless time in research and development. He has stood through thick and thin of the company and taken the ownership of the company, without Ramdev Baba worrying about its functioning and growth. 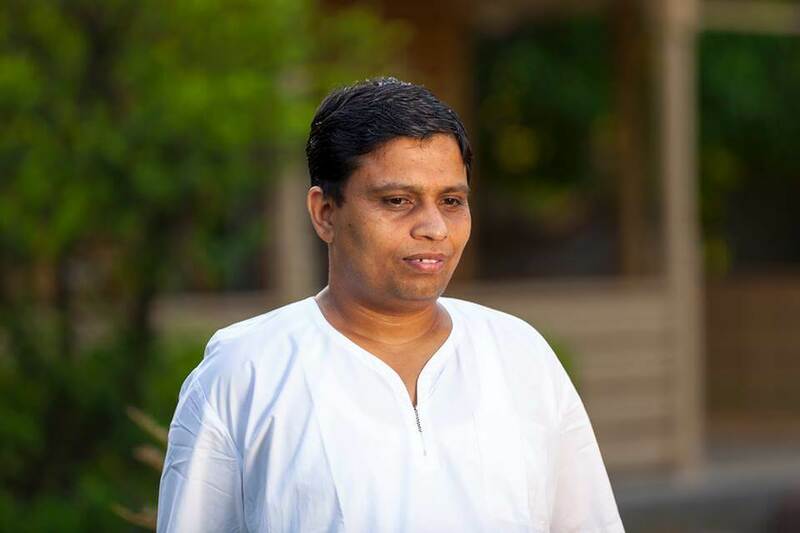 With his immense knowledge about Ayurveda and herbs, Acharya Balkrishna has written several books and contributed to several magazines and journals. He serves as chief editor of Yog Sandesh, a magazine that promotes yoga and Ayurveda. Along with co-authors, he has written more than 40 research papers on yoga and Ayurveda.